Last year I did a rather large feature on the blog spotlighting a variety of YA fantasy novels, and while my intention was to do that again this year it didn't exactly pan out. That being said while the feature itself isn't happening I do still have a few interviews I planned to use that I want to get out into the world because they deserve to be shared. 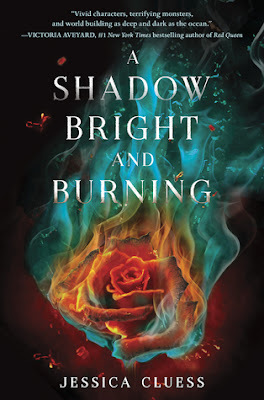 One of the authors I asked to participate is the lovely Jessica Cluess, whose debut novel A SHADOW BRIGHT AND BURNING actually hits shelves today, which, honestly, is the best day for an interview. I hadn't even started the book when I came up with these questions so they're all spoiler free, giving you the perfect opportunity to decide if this book is something you might want to pick up! And the best part is that, should it sound interesting, you won't have to wait to get a copy, because it's already on shelves! Once Upon A Teen Reader: Where did the initial idea for this book/series come from? Jessica Cluess: I got the initial idea after watching Nicholas Nickleby with Charlie Hunnam. In one scene, Nicholas has to physically stop an attack on an abused boy, and I wondered how a girl in the Victorian era might handle such a thing. Then I had this idea of the girl lighting herself on fire and roasting the attacker, and that image was where I got Henrietta. The rest of the world—Victorian England under siege, monsters, sorcerers—all came out of this one image of this young girl with crazy fire powers. OUATR: As far as fantasy goes authors generally either create their own worlds or they use the real world, and you did the latter (which by no means is any less cool, btw). I'm curious why you decided to go in that direction in the end? JC: From the moment I had that image of a girl in Victorian dress with the ability to light herself on fire, I knew the story had to be set in Victorian England. Most of my ideas come from a single image, and that image usually tells me a lot about the character, the world, the problems facing that world, etc. Plus, I know a lot about the era, just from having read novels written in or about that time period. I had to do more research, of course, but I had an idea of how people spoke, dressed, what the social system was like. If I’d set the book in pre-Revolutionary France, for example, the writing would have gone much slower simply because I wouldn’t have started with the same amount of knowledge. OUATR: What year (or time period) is the book set in and can you tell us a little about how the London you ended up creating in your book is different from what London was like at that time in history? OUATR: Henrietta is a female sorcerer and she can burst into flames. Spontaneous combustion seems a little more sci-fi to me, so what other kind of magic can we expect to see throughout the story that screams fantasy? JC: Well, the sorcerers themselves use an elemental magic system, so earth, air, fire, and water. Because of that, they’re much more tied to the practical workings of the earth. However, there are other magical types in London, and they are much stranger. There are hobgoblins and faeries, who can brew potions and have clothes made in an hour, and there are also magicians. The magicians in particular have very out there, wild magic, but I don’t want to talk too much about that. It could give things away. OUATR: This is your debut novel (congrats on that! ), but was it the first book you wrote? Regardless, is there some reason you decided to write a fantasy novel instead of a different genre? JC: Thank you! A Shadow Bright and Burning was actually the sixth manuscript I completed. Before that, I trunked four books and queried one that didn’t go anywhere. As for fantasy, I almost always knew I wanted to write in that particular genre, but I hadn’t thought about writing for young adults until a few years ago. The novel I tried shopping around the first time was an adult urban fantasy, and the market was dead. I looked around to see what was selling, and noticed that young adult fantasy was in demand. I hadn’t really read that much, so I decided to look at a few examples to see if I wanted to try it, and I fell in love. This category is so rich and has such incredible imagination, and I knew I wanted to work in it. OUATR: Fantasy novels seem to use the "chosen one" idea pretty often, and while you do go in that direction you seem to have taken a slightly different approach to it. What can you tell us about that and perhaps you could say a little something about how you decided to play with it. JC: Okay, originally I wanted the sorcerer world to have both men and women working in it. But when I looked at the story—young girl in war-torn country is found to have magical fire powers, and is brought to the capital to train with the monarch’s guard while tensions rise with her childhood friend—it just looked too much like the Grisha trilogy, at least on the surface. One way to avoid that, I thought, was to have only men be sorcerers, which would create a different kind of tension. I decided that in such a rigidly structured society, they’d need to have a chosen one of some kind, to get people used to the idea of a girl sorcerer. So I kind of fell backwards into the chosen one thing—I didn’t seek it out. I’m really glad it ended up being part of the story, because it lets me play with an idea that’s very dear to my heart: that you don’t have to be anointed or have the right pedigree to be important. All you need is to be hard working and bold. OUATR: Are there any fantasy books you would recommend we read after we've finished A SHADOW BRIGHT AND BURNING? JC: Well, if you want Victorian fantasy, These Vicious Masks by Kelly Zekas and Tarun Shanker is great. It’s X-Men meets Jane Austen. Timekeeper by Tara Sim is also a great alternate Victorian England fantasy, this time with an LGBT twist. Though it won’t be out until next year, Rosalyn Eves’ Blood Rose Rebellion has magical war in Victorian Europe. There are a lot of great historical fantasies coming out very soon. OUATR: What are you working on now? JC: The sequel to A Shadow Bright and Burning! I can’t tell the title yet, but I love it. Hopefully, it opens up the world and makes the journey even darker. I’m excited for people to read it. Henrietta Howel can burst into flames.Forced to reveal her power to save a friend, she's shocked when instead of being executed, she's invited to train as one of Her Majesty's royal sorcerers. Jessica Cluess is a writer, a graduate of Northern University, and an unapologetic nerd. 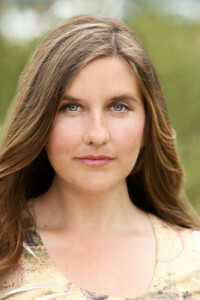 After college she moved to Los Angeles, where she served coffee to the rich and famous while working on her first novel. When she's not writing books, she's an instructor at Writopia Lab, helping kids and teens tell their own stories. I've decided to give away a copy of A SHADOW BRIGHT AND BURNING to someone, and Jessica has generously donated some exclusive swag. The giveaway is will run until September 30th and is only available to people in the US and Canada due to shipping costs. If you mention two of my favorites authors, Sarah Maas and Cassandra Clare, I am on board. This one has been on my TBR for a while. This book sounds so cool, I've been waiting ages for it!